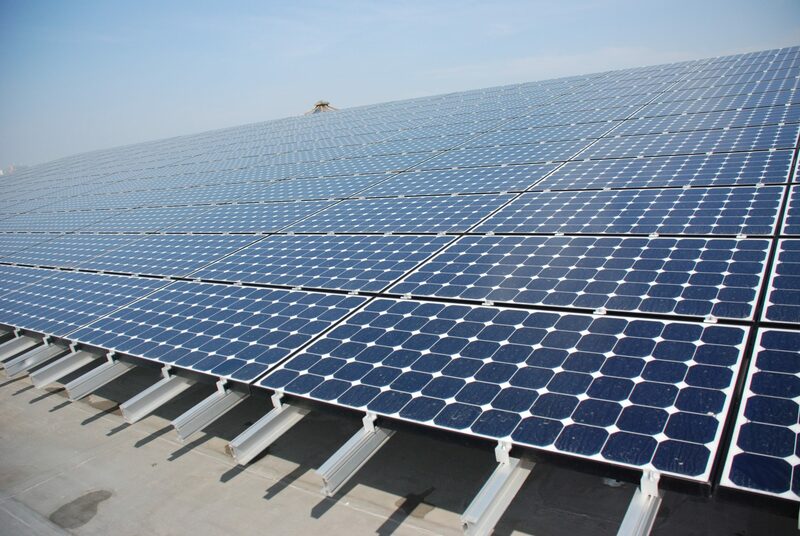 The floating solar park has the capacity to generate 40 megawatts of electricity to the Huainan electricity grid which is enough to power around 15,000 homes. The farm features a central inverter, transformer and switchgear contained within the plant’s 20-foot containerised design. All these components are supported by a combiner box as well as customised floating parts which enables it to successfully work in an environment where there are high levels of humidity and salt water spray. There are a number of environmental and health benefits that can accrue from installing solar panels on top of water bodies. Compared to solar panels mounted on the side or top of a building, floating panels are automatically cooled down by the water they sit on. This helps boost the efficiency levels of the plant’s power production capacity. Furthermore, the floating plant and the lake on which it sits is helping to restore the environmental damage caused by mining for coal as it now supports the emergence of a marine ecosystem. For example, the floating panels provide shade to the water, which in turn helps limit the growth of algae. This, in turn, allows other marine life to prosper in their environment and reproduce more often. China itself also continues to press ahead with other green energy developments and will most likely construct other floating solar farms. The New York Times reports that the Anhui provincial government already “Wants to expand the effort to more than a dozen sites, which collectively would produce the same amount of a power as a full-size commercial nuclear reactor.” The plant’s manufacturer is in the process of licencing the technology so that it can be sold overseas while delegations from Japan, Taiwan, Vietnam, Singapore and elsewhere have already conducted study trips to the floating plant. The project is yet another example that showcases China’s commitment to reducing its greenhouse gas emissions, overcoming climate change and positioning self as a renewable energy world leader. Although its chronic pollution issues, and the environmental and health concerns, that arise from that point to the drastic need for China to take action, now that it has, it is fully embracing green technologies and solutions and rapidly implementing them.